William Hill is one of the biggest and most reputable names in sports betting and casino gaming and has built a solid reputation in the industry since the launch of its online casino in 2007. It has since added an online bingo site to its fold, offering a sensational range of bingo games and casino favourites for players to choose from. And in true William Hill fashion, you can also expect some incredible bonuses and promotions, both for new and existing players alike. One of the best benefits to playing at William Hill is the brand’s sense of community, which is evident throughout its portfolio of websites. Customer support is top notch, while interacting with fellow players is also an added perk not offered at all bingo rooms. The social aspect of the site is incredible, with different social games and activities to keep players interested and excited for hours. New players joining the site for the first time will be treated to a cool welcome bonus of £25 when you buy at least £10 worth of bingo tickets within the first seven days of joining the site. What’s more, new players will also receive a one-week free pass for the Arrival Lounge, where you can try out a wealth of free bingo games to your heart’s content. For existing players, there is a varied selection of daily and weekly offers and promotions to help you boost your bankroll. Here, you can enjoy anything from free bingo games, to half priced games, full prize bingo games and much more. There are also hourly bingo quizzes for those feeling a bit competitive – and even if you lose, William Hill Bingo hands out free bingo games as a consolation prize. Finally, the loyalty program is called The Bingo Club and is available to regular players. Once you become a member, there are six different levels to go through, with each offering different exchange rates for the earned points – the higher your membership, the better the exchange rate. Earn loyalty points as you play at William Hill Bingo and exchange it for bonus money or games bonus money – your call. William Hill Bingo is a vibrant website packed with plenty of opportunities to win big. The website is laid out to be as user-friendly as possible, which makes it ideal for new players, while experienced players will also appreciate the ability to easily navigate the site. The colour scheme is visually appealing, while the site is neat, clean and seamless. William Hill uses the Virtue Fusion bingo platform to operate its bingo rooms. The software is very popular in the UK and European market, boasts a wide and varied selection of games and a proven track record when it comes to reliability, high-quality and stability. William Hill Bingo offers a range of exciting games to keep players entertained and winning for hours. The bingo rooms are packed with 90-ball, 80-ball and 75-ball games. The buy-ins for these games ranges from 1p up to 50p per ticket, which makes them accessible to a wide range of budgets. The bingo Community Room is a place where you can enjoy free daily bingo games if you have not won during the promotional times. In the Main Room and Community Room, the Bingo Linx games offer the chance to grab up to £8000 daily, for just 50p a ticket. There are also monthly games that offer six-figure prizes that is definitely worth mentioning. The William Hill bingo rooms feature plenty of exciting opportunities to play and win, and in addition to bingo games, you can check out the chat games and side games as well. In addition to bingo games, William Hill features plenty of online slots and scratch cards for you to enjoy. The website boasts a huge portfolio of casino games, from online slots to table games, video poker games, jackpot games, instant games, scratch cards and everything in between. William Hill is one of the most reputable iGaming brands, and with this comes complete safety and security in its banking. When it comes to deposits and withdrawals, a wide range of banking methods are accepted for your convenience, including Neteller, credit and debit cards, Moneybookers (Skrill), Clickandbuy, Usemybank, Entropay and more. The bingo site accepts a variety of currencies, including USD, GBP, CAD, SEK, DKK and more. William Hill has been optimised to work seamlessly on your mobile device, allowing you to take your gaming on the go. The website is compatible with iOS, Android, Windows and Blackberry devices, offering responsive and intuitive gaming anytime, anywhere. The website is also available to play instantly via your web browser without having to download any software, so enjoy instant access to bingo while on the move. William Hill is one of the biggest names in gaming, so playing at its online bingo site will always be a great option for players looking for an excellent combination of games in a safe and secure environment. The brand has been around for decades and has managed to become one of the most recognized names in the industry, providing top-class gaming products to land-based and online players across the world. The bingo site is exciting, rewarding and packed with plenty of games to suit all preferences, skill levels and budgets. 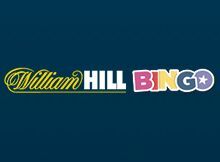 Players will find William Hill Bingo to be a rewarding and fulfilling experience, complete with dedicated customer support, safe and secure banking methods, and some generous promotions worth looking into. Overall, this is one of the best bingo sites available online and definitely worth checking out. The customer service of William Hill Bingo is available via e-mail, live chat, or on telephone. Head over to the William Hill Help Centre to learn its e-mail address as well as getting access to its live chat. You are also very welcome to contact William Hill on Twitter.